Economic Advantage: Everyone wants to be green, but it is the green in the back pocket that really moves the meter for most people. CNG is much less costly than diesel fuel. Even in a depressed diesel fuel market CNG still represents instant cash-flow savings. To see exactly how much you could be saving by EVOlving to CNG use our CNG Savings Calculator. 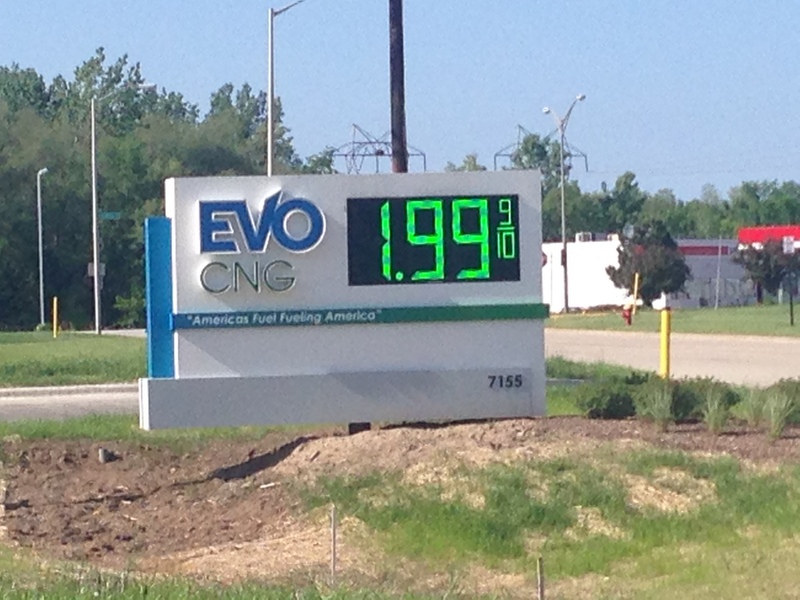 Environmental Advantage: CNG represents a 20-30% reduction in green house gas emissions. Not only is this better for the environment, but is a significant advantage running in states that are requiring lower emission vehicles. It also gives you an advantage when speaking to shippers that want a green option from their carriers. Simplicity Advantage: Let’s face it. Today’s diesel trucks have gotten complicated. All of the after treatment devices that have been added by OEMS trying to meet the government mandated emission requirements have made what used to be a simple diesel engine into downtime machines. All of that EVOlves away with a CNG truck. CNG Trucks use simple, spark ignited engines based on decades old engine platforms that are easy to use, diagnose and maintain. Infrastructure Advantage: Compared to other alternative fuel options, CNG dwarfs the competition in the number of stations available today and the number coming online. This means that no matter where you are travelling you will most likely be able to fuel up. EVO CNG along with its partner Trillium CNG has over 50 public stations ready for use and many more that are about to open. Use this map to find out the locations of our stations. Still don’t see a station where you need it? Contact us today to see about building a station on your route.